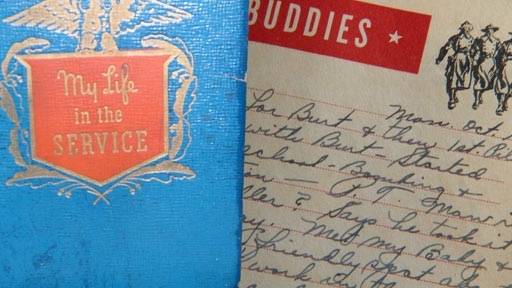 A man in Lexington, North Carolina has a moving diary written by a World War II bomber pilot. He discovered the diary after his father died 20 years ago. It belonged to his father's co-pilot, William Moran, with whom he served during WWII. The bomber is the Allies' great hope, but is also the most deadly, with the B-24 earning the nickname "The Flying Coffin". Why did these men sign up to such a dangerous job? What did they see and do during their time in England? Can this diary shed light on the men who kept Hitler at bay? The details in the diary about a wife and unborn child haunt our contributor and there's one thing missing - an ending. What happened to Bill Moran? Can we return this very personal piece of history to a living relative? The stakes are raised as the diary pages reveal the story of a young American pilot stationed in England, racing against time and against all odds to return home. Also in Season 7 Pancho Villa Watch Fob Did the owner of this watch fob witness the horrifying raid on Pancho Villa? Related Investigation Empire State Building Plane Crash Piece Does this piece of metal belong to the plane that crashed into the Empire State Building?